Get hired! 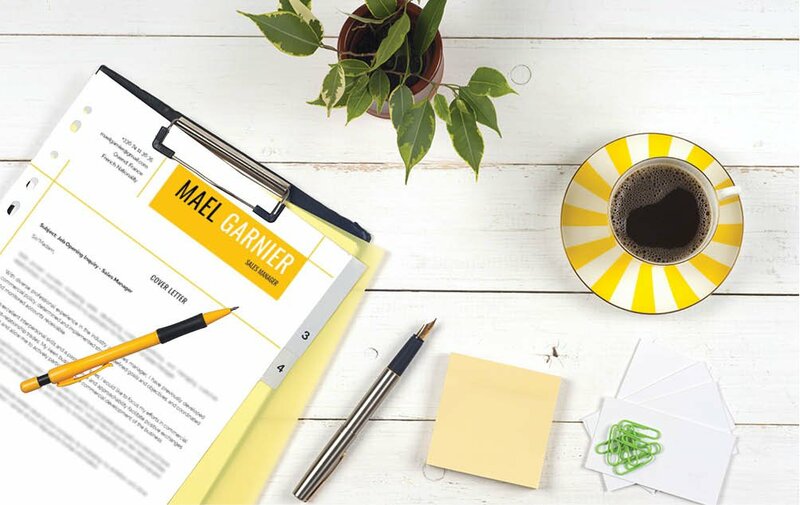 This cover letter template will showcase all your qualifications with ease. 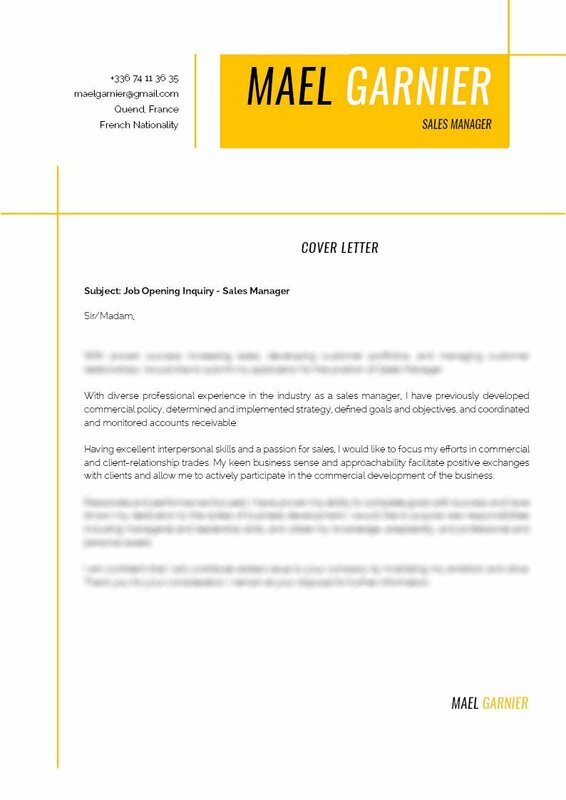 Cover letter to download "Sales Manager"
This cover letter has an excellently crafted design that is sure to impress your potential employer! 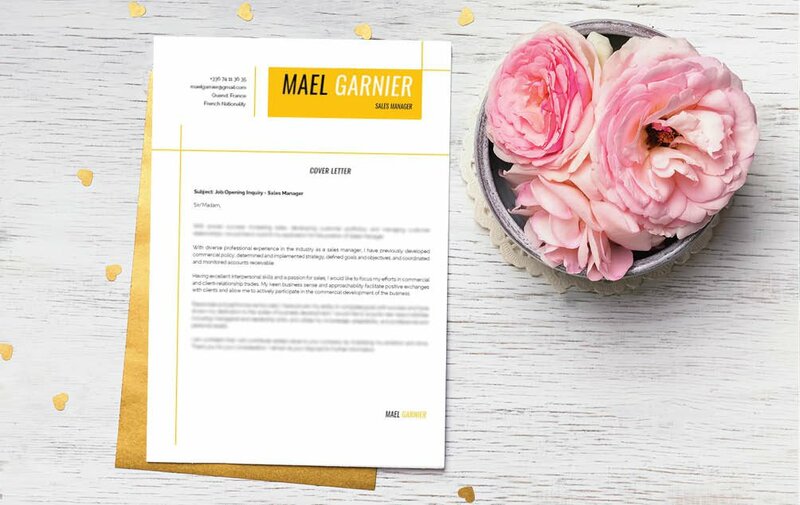 This professional cover letter template uses a great selection of colors, shapes, and graphics to give you an eye-catching and effective design. All of your qualifications are clearly written which makes this cover letter a perfect fit your any job type! 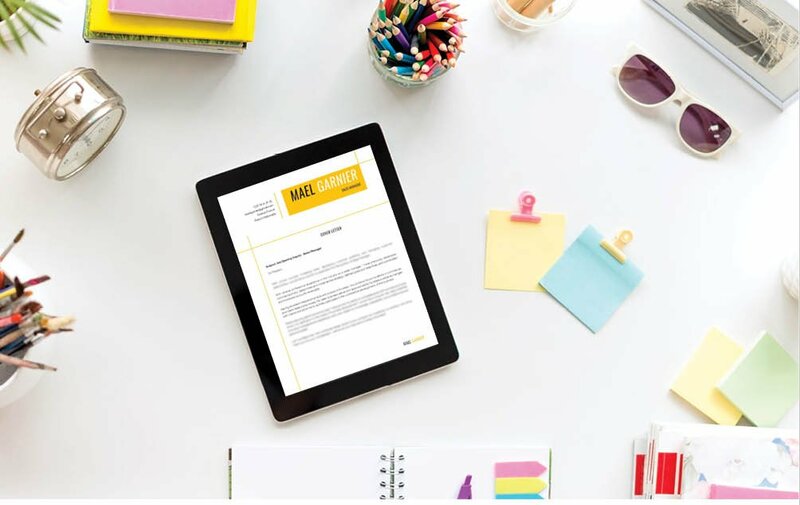 Applicants that have a solid set of qualifications will find this cover letter perfect as it uses a well-organized structured that is sure to help boost your sales manager career! A cover letter is typically reviewed for 10-30 seconds—it doesn't get a full reading the first time through! So it's important that you keep each section and paragraph of your cover letter short, but dense with information. Remove all information that is not relevant to your job search objective. Use bullets and graphics to bring emphasis to the key phrases of your cover letter. And break down complex parts into smaller, bite-sized pieces that are easier to absorb.